The ANDRITZ Nonwoven crosslapper range is based on long years of experience and continuous innovations. The most important milestones are the replacement of wooden slats by aprons, the launch of the “short textile path”, and of the ProDyn technology, which has remained unequaled up to the present day. Depending on the model, crosslappers can be offered for cards with up to 3.5 m working width and for delivery aprons up to 15 m wide. All transfer carriages and aprons are individually motorized in order to control the batt weight distribution. 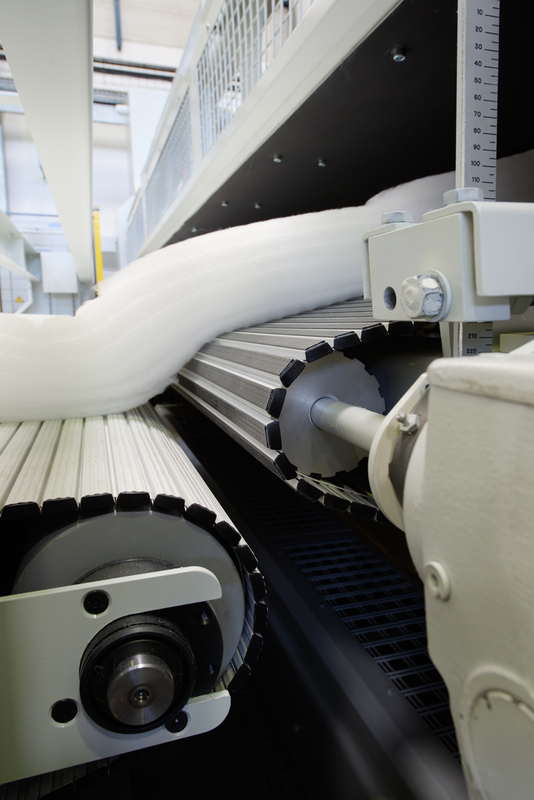 All ANDRITZ crosslappers are designed for easy installation in nonwovens production lines. They contribute towards a remarkable reduction in production costs because the improved regularity saves fibers.